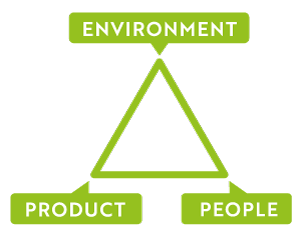 These three ethical pillars lie at the heart of Tonrose. From ensuring the products are responsibly and sustainably sourced and produced; embracing innovation to help reduce environmental impact in the production and care of linen; to ensuring its suppliers provide a safe place to work, supporting their local communities; Tonrose lives and breathes ethical trading. The Tonrose Group is a trusted family-owned business which has been supplying linen to the UK’s hospitality and leisure trade sector for nearly 120 years – longer than any other European supplier in the cotton and linen business. ethical standards and principles. That’s how we’ve made sure that being responsible has always been woven into the fabric of our business – making our success sustainable for more than a century, and helping to bring the same responsibility and sustainability to our whole supply chain. Over 40% of energy used at our largest supplier is renewable. Our 10% Better Cotton commitment is enough yarn to circle the globe 60 times. Two of our largest mills are run by women.